Are you enthused about giving back? Happy to work with children? parents? families and other social causes? 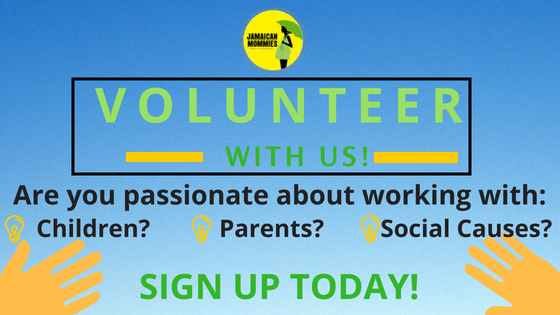 Volunteer with the Jamaican Mommies Network and be empowered to empower others. To volunteer, complete our brief survey to give us a better idea of the areas that would be the best fit for you.